Why doesn't NED have any information about the Sun, the planets, or the stars? What images are included in NED? How may I contribute my FITS images or spectra to NED? What is the difference between "STRICT" and "LIBERAL" in the IAU-format search? Not all of the IRAS Catalog entries seem to be in NED. Are some sources missing? There are only 1500 entries in the Markarian catalog. Yet NED has some Markarian numbers over 1500. Why? There is a gap in the Fairall numbers between 1185 and 1201. Do these objects exist? I've noticed that the RC3 data in NED sometimes do not agree with the RC3 printed version. Which is correct? Q.: Why doesn't NED have any information about the Sun, the planets, or the stars? A.: NED is an extragalactic database. Data and references for Galactic objects may be retrieved from SIMBAD, maintained by the Centre de Donnees astronomiques de Strasbourg, France. Similarly, solar system and planetary data may be retrieved from NASA's Planetary Data System at JPL. Q.: What images are included in NED? A.: Most of the images NED holds on line are optical, infrared, and radio images of galaxies, though we do have some UV and X-ray images as well. We also collect HI spectra, isophote maps, and other graphical representation of extragalactic data. NED can also display an image of a given object from the Digitized Sky Survey using one of the Object Search options, or the Image Search option, all available on NED's Home Page. Q.: How may I contribute my FITS images or spectra to NED? A. Please leave a comment with your name and email address so that we may contact you. Or you may send email to the NED team with cc's to barry@ipac.caltech.edu and olga@ipac.caltech.edu. Q.: What is the difference between "STRICT" and "LIBERAL" in the IAU-format search? The STRICT convention understands the input as a truncated version of the coordinates and adds a half decimal to the last digit given in RA and Dec, then searches for all objects within a radius equal to the larger of the half decimal suffixes. 22h 14m 30s +33deg 7' 30"
This position becomes the center of the search circle. Since the center is within 30 sec and 30 arcsec from the input position, the radius of the search should cover the largest distance, in this case 30 seconds of time. The LIBERAL convention assumes that the last digit could be either truncated or rounded, and considers the resulting possibilities. NED then searches for all objects within the largest circle containing all the possibilities. Q.: Not all of the IRAS catalog entries seem to be in NED. Are some sources missing? A.: Yes. When we loaded the IRAS catalogs, we used various filters to improve the chances of a source being extragalactic. Q.: There are only 1500 entries in the Markarian catalog. Yet NED has some Markarian numbers over 1500. Where do these extra numbers come from? A.: In 1986, V. A. Lipovetsky and J. A. Stepanian collected all the Markarian objects from the fifteen published lists into a complete "First Byurakan Survey." This list, never published but privately circulated, included an additional 32 objects given provisional numbers from 9001 to 9032. A few of these provisional numbers have appeared in the literature, so we have put all of them into NED. Then, in 1989, Markarian, Lipovetsky, Stepanian, L. K. Erastova, and A. I. Shapovalova published their complete Markarian catalog in Communications of the Special Astrophysical Observatory, No. 62 as "The First Byurakan Survey. A Catalogue of Galaxies with UV-continuum." This catalog has an additonal 15 objects numbered from 1501 to 1515, 14 from the 32 new objects in the 1986 list, and one new. We have also put these 15 numbers into NED, so the 14 new objects in common to the 1986 and 1989 lists carry two Markarian numbers. Q.: There is a gap in the Fairall numbers between 1185 and 1201. Do these objects exist? A.: No. Fairall's original lists (see Fairall, MNRAS 233, 691, 1988 and references therein) contained data for 1185 compact and bright-nucleus galaxies, while the latest paper (Fairall and Woudt, MNRAS 366, 267, 2006) has data for 336 galaxies found in large-scale structures across the sky near the South Celestial Pole. The two samples are thus independent. 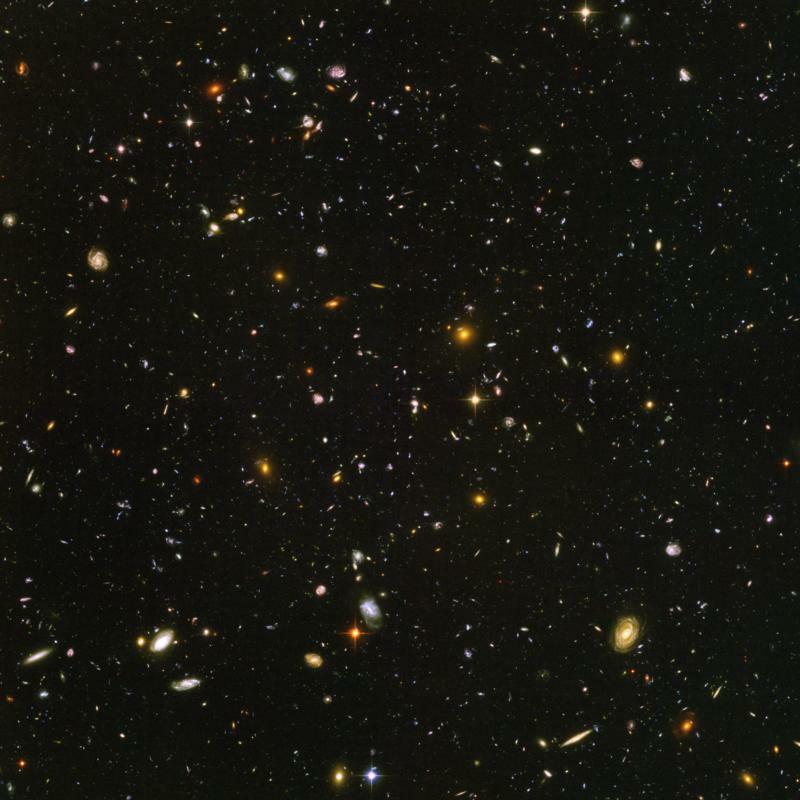 Therefore, Fairall started his numbers for his latest large-scale structure sample at 1201 to avoid confusion between it and his earlier sample of compact galaxies. Q.: I've noticed that the RC3 data in NED sometimes do not agree with the RC3 printed version. Which is correct? A.: NED's version of RC3 (the Third Reference Catalogue of Bright Galaxies) includes the many corrections detailed in Corwin et al. AJ 108, 2128, 1994 as well as a few others made since that paper was published.